This song recounts a series of misadventures endured by Stewart's globetrotting protagonist, culminating with his torrid romance with a "slit-eyed lady." 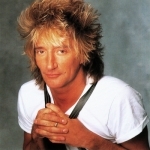 (Political correctness has never exactly been Rod Stewart's calling card). In the May 1995 issue of Mojo, Stewart said of the song: "I can remember the build up. You know what the song's about - your early teenage life when you're leaving home and you're exploring the world for yourself. Ronnie (Wood) and I rehearsed round my house at Muswell Hill and recorded it the next day. That whole album was done in 10 days, two weeks, about as long as it takes to get a drum sound right nowadays."